Just a few years ago Todd and Leah Getts was struggling trying to figure things out for their business. Then they went to work, developed a Twitter Strategy and started winning big time! Now they're one of just a handful of L6 leaders inside MLSP! They've been able to retire very young, and every single week bring TONS of wisdom and knowledge to the community so that others can do the same thing! Huge congrats to these two!! Ebone Cruz is right. That is sweet! Looks like someone's taking action and doing the work. Congrats to this awesome new member. Someone to keep an eye on! So we knew Kay Somji was a rock star, but looks like we're not the only ones who think so. 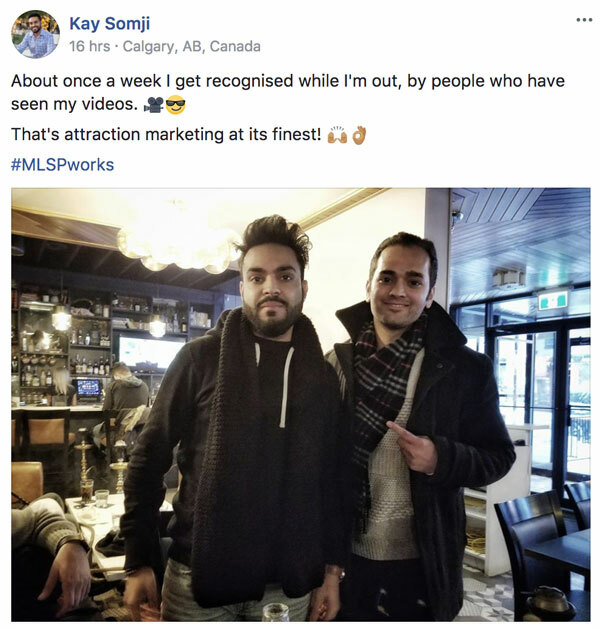 Becoming a mini-celebrity is one of those cool little side benefits when you use attraction marketing to grow your business the way Kay does it. 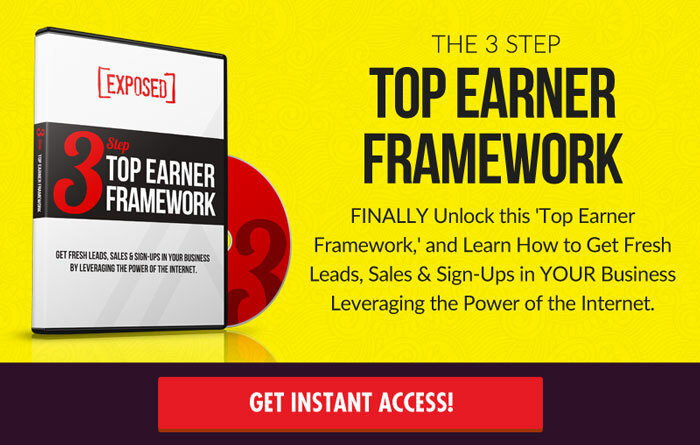 It also makes getting leads and sales for your business, and building your brand much easier. Boom! Camille Tyler is killing it. She got hit up to teach social media while at a wedding party. How cool is that? That's what happens when you gain the type of knowledge we teach here at MLSP, and simply share it with those people who need it. But that’s not all. There’s a good reason that Camille got the attention of the realtor who wants her to speak to her team. Camille got a shoutout from Kay Somji inside the MLSP Community this week. Sameela Bibi wants to hit L5 before the MLSP ‘Live the Dream’ event in August. Combine the action she's already shown she's willing to take, with a coach, and holy smoke! We predict a new L5 by LTD 2018!! Steve Krivda showed how great of a coach he was again this week by shouting out one of his coaching clients. Shari Roberts had a great week, and Steve was celebrating big for her! 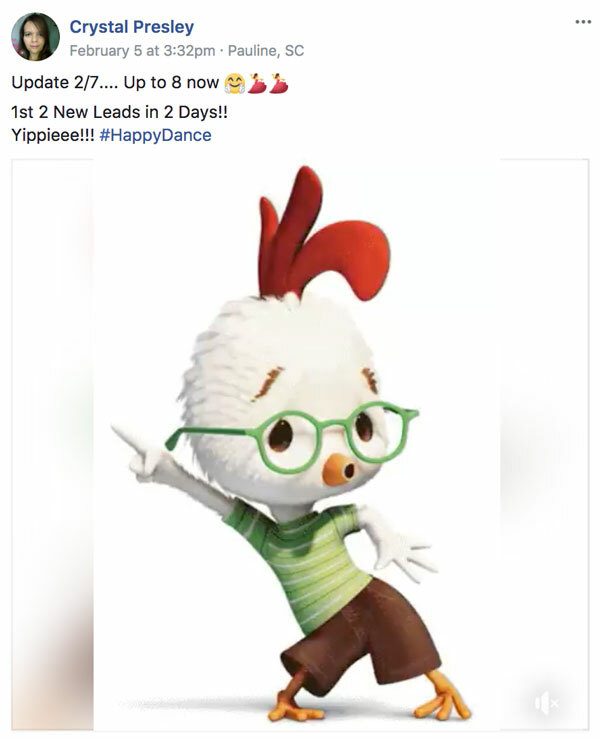 Did a Facebook Engagement Ad that got 1.7K likes/loves and 129 shares! 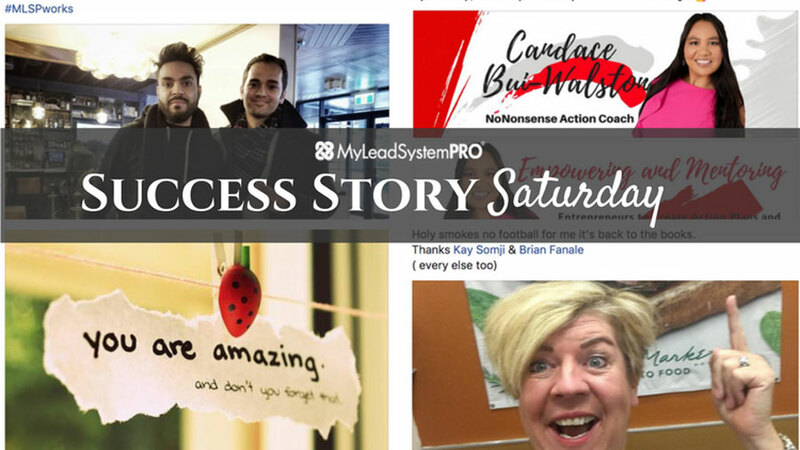 And we'd like to add…got herself on the MLSP Success Story Saturday post! Boom! We love the shoutouts inside our amazing community this week. While Camille Tyler was killing it in her own business, she took time to give a nice shoutout to her fellow team member Anne-Marie Clark! Looks like Anne is doing the work and getting the results that the work will get you!! Nathan Lucas is crushing it, and we were so glad to see his post inside the MLSP community this week. Nathan has figured out one of the keys to success in this industry, and YOU should learn from that too! Great work Nathan! And thank you for your service. Congrats to Crystal Presley for her first 2 leads. That's a huge step, and plenty more to come!! Jelena Ostrovoska has been hard at work. Jelena is not known around here to back down from a challenge, and she seems to have a knack for figuring this stuff out! Anna Tossel is smashing it here with her business, and thankfully she shared her results here. There are no small wins! They all lead to YOU living YOUR dream! 🙂 YOU are awesome Julie!